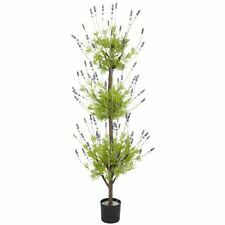 Lavandula bipinnata is an evergreen shrub that grows up to 24 inches tall. Also known as Lavandula burmanni. Lavender bipinnata has beautiful silver grey divided leaves. The definition of pinnate is that of having divided leaves. Bi-pinnate is double divided leaves. 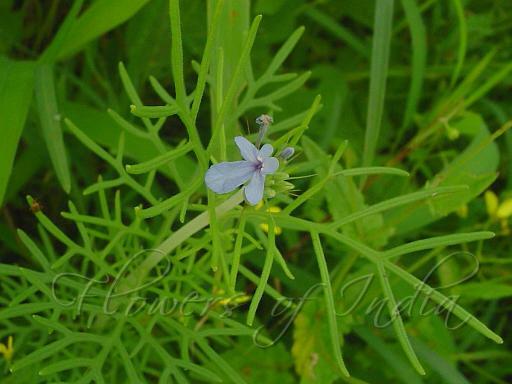 Called Feather leafed Lavender due to the delicate feather nature of the Lavender leaves. Plant in full sun and well drained soil. Lavandula bipinnata has very short (almost stemless) flower spikes covered in violet blue flowers and blooms repeatedly throughout the year. Flowers are lipped and very asymmetrical having the 3 lower petals being much larger than that of the top two. The largest lobe is that of the middle bottom. See more about the flower structure of Lavender here. This Lavender is frost tender and only hardy in zones 9-10. Lavandula bipinnata is native to central north India and the Deccan plateau which makes up most of the southern region of India. It is a Pterostachys Lavender.